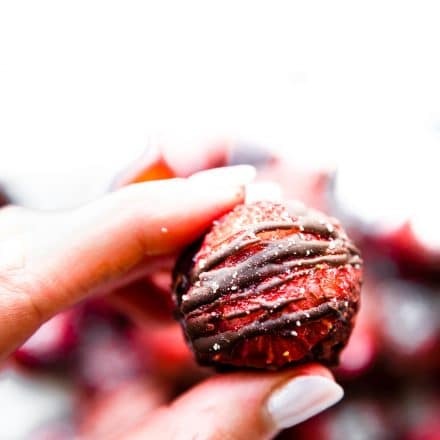 Holiday Gift Guide for healthy eaters, cooks, and foodies! Paleo and Vegan friendly products, must have kitchen appliances & porcelain dishes for entertaining! Plus, there’s an EPIC giveaway worth $600, so keep reading ya’ll! 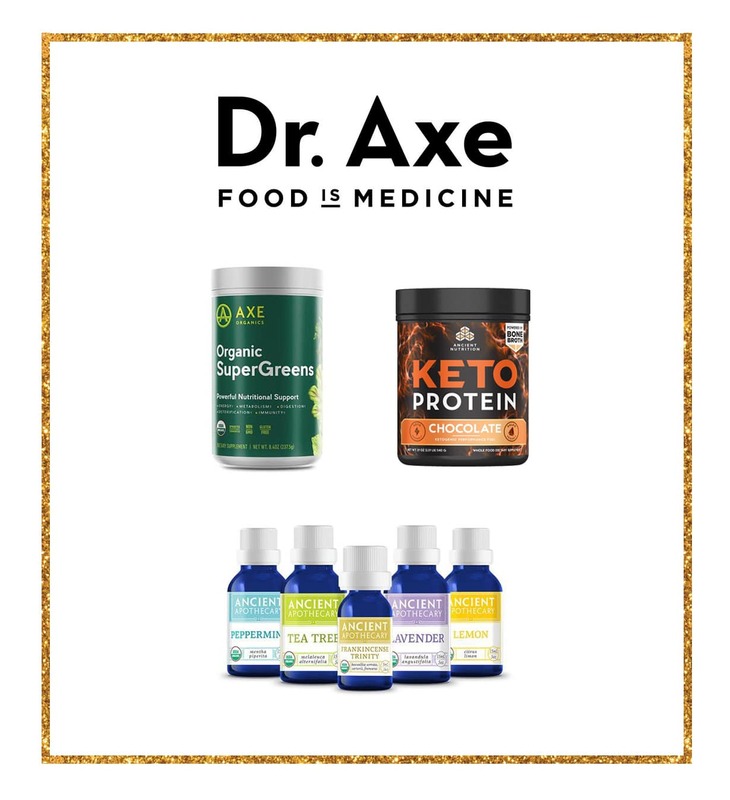 This Healthy Holiday Gift Guide and Giveaway is sponsored by my friends at Bob’s Redmill, Revol USA, Ancient Nutrition, Whole Foods, ME (Head Chief at Cotter Crunch), and Primal Kitchen. I am so thankful for the opportunity to share and giveaway my favorite healthy holiday gifts! Well goodness gracious it’s 3 weeks till Christmas and 8 days till Hanukkah begins! Wowza, where has time gone? Oh wait, that’s right, the older you get the more time just flies! Am I right? Needless to say, I don’t want to wait any longer to share some pretty cool gift ideas with you. Are you ready for this? It’s an AMAZING Holiday Gift Guide and giveaway. 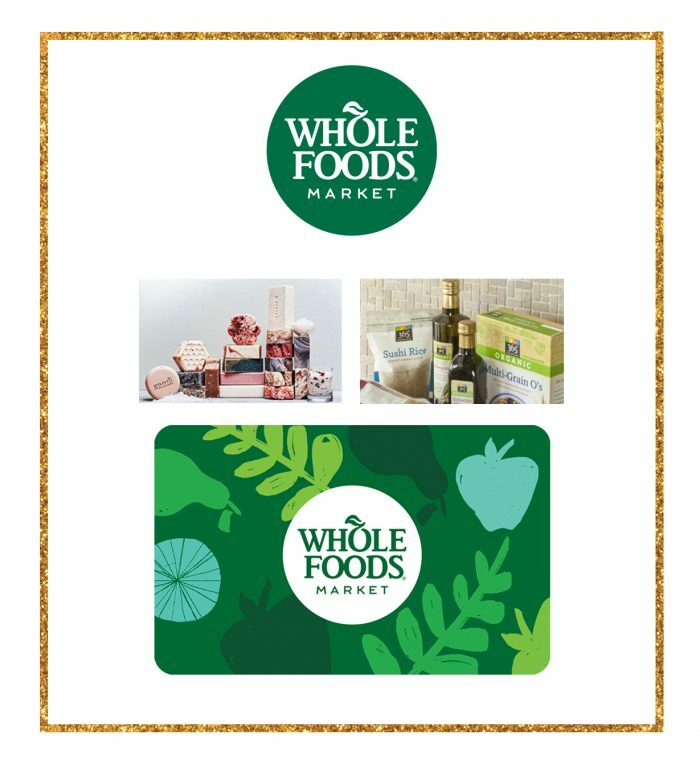 Now, here’s the best part, in my opinion: you get to watch a super corny Holiday Gift Guide video from me (you’re welcome), and then you can enter win ALL these healthy gifts. Yep, a gift guide giveaway worth over $600 dollars. OMG I am so excited about this! I feel like Oprah, just giving stuff away. Makes me happy. You see, these are truly my FAVORITE things and they need to be gifted to all! 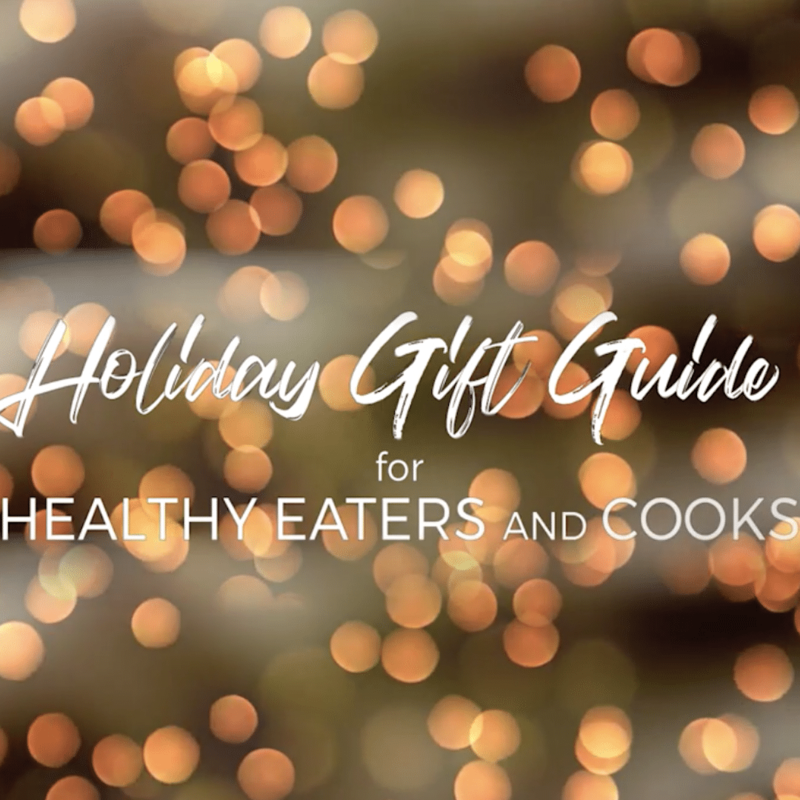 Whether you’re a healthy eater, cook, or just know someone who is, this Holiday Gift Guide has you set. 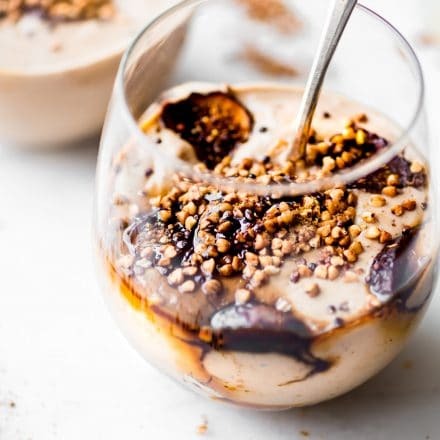 Gluten free, paleo, and vegan friendly products, quick and easy cooking appliances (to save you time in the kitchen), amazing modern pottery/bakeware for every day use or entertaining, plus some of my favorite health supplements to reboot your health or to keep you healthy and nourished year round. Click on the products in the image below to take you to their site! Okay, ready to learn more about all these gift goodies? Scroll through the post for the full details. Giveaway at the bottom! Flaxseed Meal – Flaxseed meal is a staple for grain free and vegan baking. Plus it’s loaded with healthy omega-3 fatty acids and fiber. I love using Bob’s Redmill Flaxseed in paleo breads, vegan bars, or sprinkled on top of power bowls. Paleo Baking Flour and Almond Flour – Both of these flours are great to have in a paleo pantry! 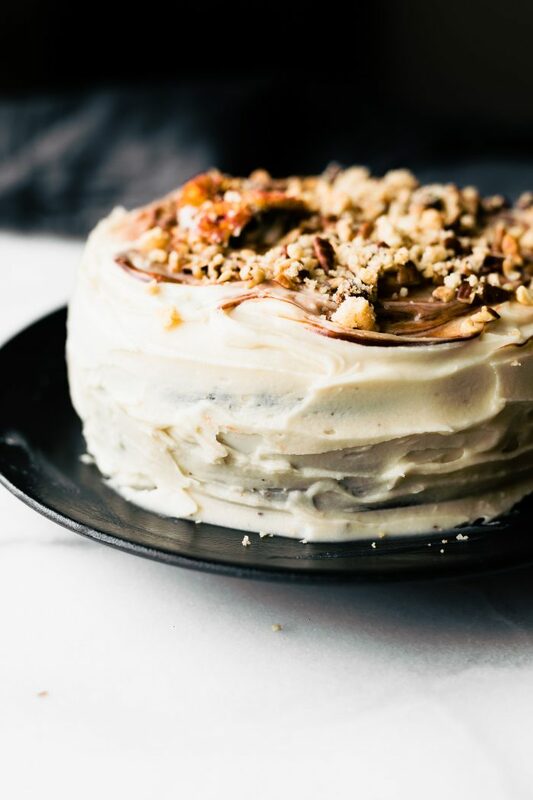 I use almond flour in many of my no bake bite recipes. 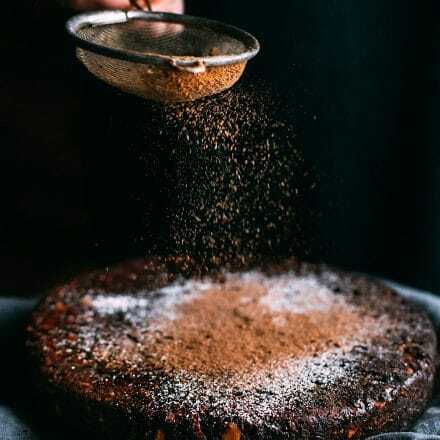 Bob’s new Paleo Baking Flour is also a great grain free baking staple for when you want to make delicious paleo-friendly cakes, cookies, muffins, pancakes, and more. Made with almond flour, coconut flour, tapioca flour, and arrowroot starch. Gluten Free 1:1 flour – My go to for EASY gluten free baking. It’s so nice to know that I can sub gluten free flour for regular flour with this blend. I also use this flour for gluten free vegan baking. It’s the perfect gluten free grain flour blend for eggless cakes and cookies. Check out my vegan cake loaf recipe for proof! Gluten Free Rolled Oats – Bob’s Redmill Oats are made in dedicated gluten free facility, which i love! They are great product for making flourless gluten free recipes (with ground oats) or for meal prep, like overnight oats. 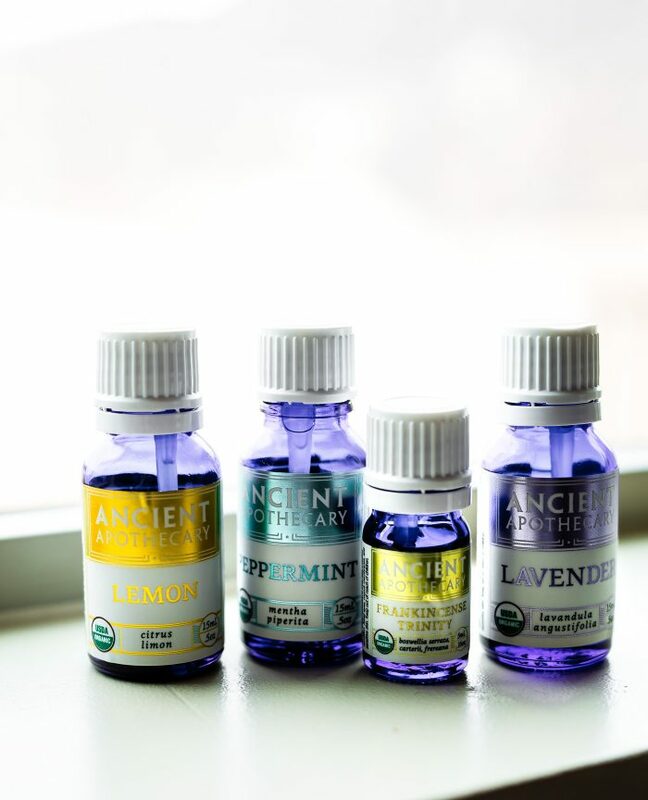 Ancient Apothecary Essential Oils – I’m finally getting on the essential oil train and obsessed! These oils are the perfect gift for foodies or anyone wanting to take their health to another oil. The starter 5 pack includes Certified USDA Organic, 100% Therapeutic lemon, lavender, frankincense, tea tree, and peppermint oils. You can use them for their medicinal properties or even in cooking, like in my turmeric ginger lemonade with mint! Organic Super Greens – I love these greens! The taste is light and it’s the perfect SUPERFOOD mix in for your green smoothies. Packed with powerful superfoods and contains real, organic whole fruits, vegetables, and herbs. I also love the added probiotics and digestive enzymes. REVOL pottery is truly one of my favorite porcelain pottery brands made with quality sand and clay. It’s beautiful for food photography and cooks food evenly. You can beat that ya’ll! Equinox Dessert Plates – These dessert plates are modern and beautiful and are available in different shapes and sizes. You can’t go wrong with the cast iron black though, it’s easy to clean and looks great in photos! The enamel is sprayed on the pieces for a textural mat effect on the used part of the plate. Another great gift for food photographers, stylist, or those who like to entertain. Belle Cuisine baking dishes (Casserole dish) – 5 different sizes, perfect for roasting, entertaining, warm desserts, and more. Super durable, easy to clean and modern looking. I have a mini white dish I used in this paleo blueberry soufflé, and the 10 inch larger black baking dish. This would be the perfect gift to a newly wed, mother in law, friend, or anyone you know who loves to cook! Instant Pot Lux V3 6 uses the latest 3rd generation microprocessor technology, up to 240 minutes pressure-cooking. This enhanced version includes a cake and egg program in addition to the Pressure Cooker, Slow Cooker, Rice Cooker, Sauté, Steamer, and Warmer. Once you get the hang of using the instant pot, you can’t stop! So many delicious meals can be made in MINUTES! I’ve made soups, gumbo, and candied nuts so far! For your favorite gluten free products, produce, and other goodies! Plus Whole Body bath salt lamps and whole body wellness supplements. If you live in Utah, you most definitely need to check out the new Park City Whole Foods. It’s gorgeous and so many great new foodie finds! Cold Pressed Avocado Oils and dressings – Healthy fats and oils to cook with or add to salads/dishes. Keto Reset Cookbook – This is Mark Sisson’s (author of Primal Blueprint) new ketogenic recipe and meal plan cookbook. 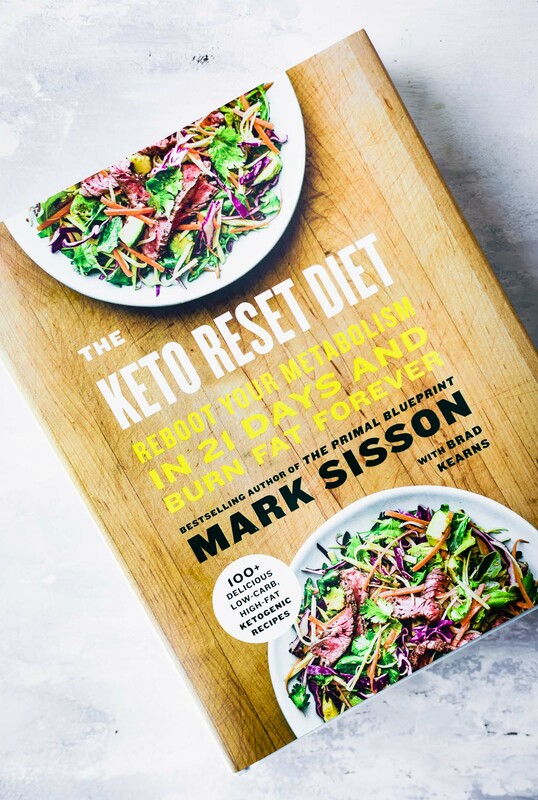 I will be honest, I am not a huge fan of focusing on keto 24/7, but Mark’s new cookbook is just a “reset” plan and it’s packed with paleo and keto friendly recipes that won’t deprive you! So simple and DELICIOUS! Well done Mark! P.S Did you know we met Mark when my husband was racing pro triathlon? Mark is a former endurance athlete himself. Small world! Egg poacher holder – Keeps the eggs PERFECTLY in place while poaching. Hand Held Spiralizer – Perfect for when you travel or take to work to make your own zoodles! Instructions for the giveaway are in the rafflecopter widget below. There’s a bonus entry for Instagram, so be sure to check that out too when the IG video goes live this afternoon! If you can’t see the rafflecopter entry, just reload your computer. If you are viewing in email, be sure to click over to the blog to enter the Holiday Gift Guide giveaway there. YEA! Giveaway Runs until December 21st and you can enter every day if you’d like. More chances to win! Well friends, that’s it! You should be ready to rock in roll for the Holidays in the best possible way! What’s one healthy gift you are wanting to give or receive this year? I’m eager to try the BRM paleo flours! I loveeee that revol pottery! Stunning!! I would love to try BRM pancake and waffle mix! I LOVE it all! Such a great gifting list Lindsay!! I love your recipes and Bob’s Red Mill. We don’t have a Whole Foods close by so I am so glad our grocery store expanded the BRM selection. So glad you have teamed for this guide. So many cool ideas, I want that pottery! I agree, I love getting holiday gifts off lists just like these! Literally love everything on this! This is an amazing give away! Love your site and would love to have the opportunity to be more healthy this season. I have always loved your plate ware. I’d love to get my hands on some… will it automatically improve my photography skills too? HA! Bro. Did you really have a camera following you around in Whole Foods?! You’re basically a celebrity now. LOL! you mean james following me around with the go pro? I sooooo wish I could have been a fly on the wall! I’ll take one of everything. I don’t own an Instant Pot yet… hmm! This sure is an epic gift guide!! I am interested in tryng the Paleo flours from Bob’s red mill and I love the REVOl pottery cake stands! Those Bob’s Red Mill flours are definitely my favs because when it comes to gluten free baking it’s really hard to find good flours. I NEED THAT POTTERY. Oh my, I hope Santa comes this year! Love everything here! Would love to try some new grains from Bob’s Red Mill! Wow! Love all of these items so much! I would be so happy to get any of them in my stocking! I’m going to tell Matt to just save this link for Christmas ideas for me! I would like to try Bob’s tapioca flour – I have a few recipes saved that call for it! I also love the Rest & Relaxation blend from Ancient Apothecary and the ceramic cookware from REVOL! I would love to fill my kitchen with REVOL pottery…it’s impossible to pick a favorite! I have been seeing a lot of amazing looking recipes that use the instant pot. I would love any of these items under the tree for myself or a friend/family member! Let’s see… From BRM, Hemp Hearts. From Ancient Nutrition, the Protein Fit. And from Revol Pottery, the Color Lab Breakfast Bowls. Thanks! The glass domes and cake stands from Revol are gorgeous. Best giveaway ever!! I am a newbie to all these items. It would be a blessing to try any of them. Happy Holidays!! What an amazing giveaway! I would love it all! Amazing Giveaway!! I’ve heard so many good things about Instant Pots! I want to try the Bob’s REd Mill protein powder! ANd that pottery is gorgeous! Thanks for the give away. The pottery is beautiful. Suuuuch a great guide friend! Is it wrong that I want to gift it ALL to myself!? I don’t know why anyone says it’s hard to get me presents. You got it right and you don’t even know me! Love all these products! I’ve been dying to try the gluten free flours and the instant pot! I’m still adjusting to celiac disease and the gluten free life. This giveaway looks amazing! I would love to have a REVOL dutch oven and try Bob’s hazelnut meal and the Ancient Nutrition Super Greens! The BRM waffle mix looks great! So many great ideas! Love them all! I would love to try BRM buckwheat groats. I really want to try to use it in granola. i would love to try the ancient apothecary essential oils! I’d love to try anything, but definitely the Bob’s Red Mill waffle/pancake mixes for breakfast on Christmas morning! I’d like to try the paleo baking flours like coconut flour and hazelnut flour. Bob’s Red Mill gf hot cereals all look fun to try! Such a great gift guide! I love so many of these products! What an awesome giveaway! Whole Foods gift cards are always a WIN. I would love to try the Bob’s Red Mill Gluten Free 1-to-1 Baking Flour; the Revol set of 2 white belle cuisine square baking dishes; and the Ancient Nutrition KetoPROTEIN in chocolate. I’d love to try Bob Red Mill’s paleo muesli! 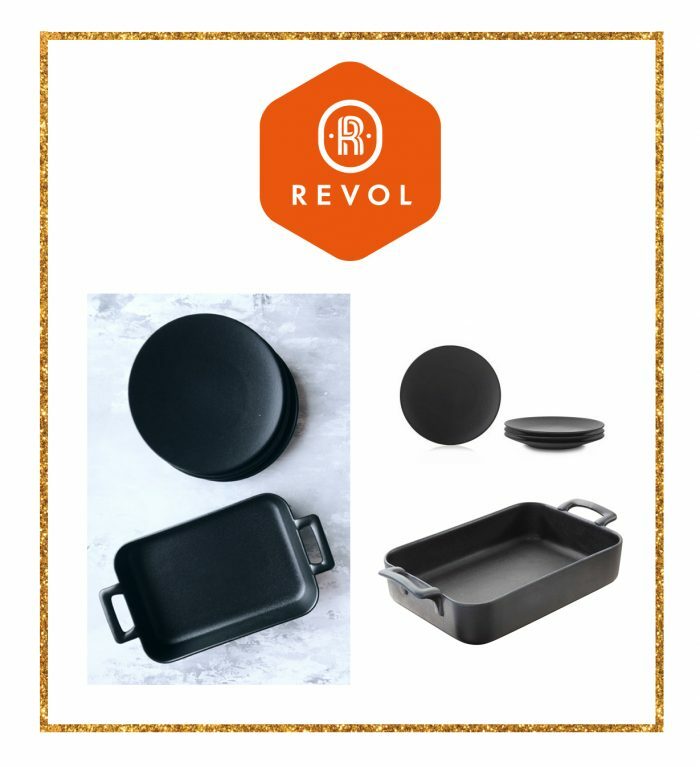 I would like to try the Revol ceramic pizza stone, I just made my low carb pizza crust tonight with almond flour and it’s so good. From Bob’s I would like to try the hemp protein powder and from ancient nutrition I would like to try the Organic Bone Broth Protein Savory Herbs. I like the Bob’s Red Mill GF all-purpose flour! It’s the one I use the most. This give away is phenomenal! I just found out I have celiacs so I am interested in all I can do to live without gluten! This would make my dreams come true, awesome!!! 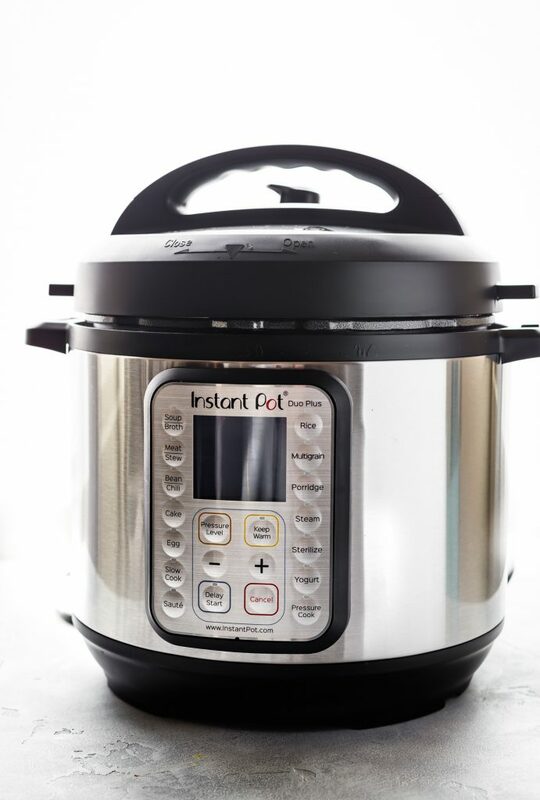 I am intrigued with the Instant pot…wanting to try one. Girl! Love the fun video AND all these ideas. I haven’t even started my shopping yet (I know, I know), so this is perfect right now! I would love to try products from any of the brands, but the REVOL pottery especially caught my eye! So many amazing ideas here! There’s a bunch of stuff I would love to try out! Such great gifts! I’m always looking for new healthy ingredients & products. I just love seeing your gorgeous face in a video. That’s all the gift I need. ahhh well I love you! What a fabulous gift guide! So many great brand 🙂 I’d love to try Bob’s Red Mill paleo pancake & waffle mix or their paleo-style muesli! A lovely selection of giveaway items! I love The Revol pottery…and everything else. I always read your posts and love your recipes! Thanks for the time and energy you put into it. This will be my only Entry because I don’t know how to do any of the other entries! Good luck to everyone! That means so much Tonnie! i truly appreciate you taking the time to read everyday! OH MY GOSH!! Such a great giveaway Lindsay!!!!! Thank you so much for sharing with us!!!! Need all of these on my xmas list this year!!! I am really curious to try the bone broth protein! Thanks for all the info on these products and for offering the giveaway! I would love to try Bob’s Red Mill Paleo Baking Flour! Best giveaway I’ve seen this season 🙂 I’ve been looking into Instant Pots! That pottery is beautiful! I’d try any of it. I am really interested in the new Ancient nutrition fit protein too. I would like the 7 Grain Hot Cereal from Bob’s Redmill, the square baking dish from Revol Pottery, and the Cinnamon Oil from Ancient Nutrition . Love the Revol Pottery and — of course — Bob’s Redmill, which makes SO many products that are indispensible for GF baking. Honestly not sure about Ancient Origins. I’ve tried bone broth a few times and found the smell a bit off-putting. Vanilla bone broth, I guess, would be something I’d be willing to try, at least once. The bone broth protein is delish! You can’t even taste the broth flavor. It’s creamy too. Or you can use it in baking. Bob’s Red Mill is one of my favorite brands! They’ve made it easy for me to be gluten-free! I’m dying for an Instant Pot – I am always pressed for time, and an Instant Pot would help so much – saving time while keeping meals healthy! i love using bobs red mill flours, and that pottery is awesome! I want everything in this gift guide! So many great things. so many wonderful gift ideas. I like the instapot the best!! I love Bobs Red Mill flours, I”d love to try the Organic Masa Harina and try my hand at making homemade Tamales for my husband. I’d love to try the coconut flour! I always love BRM and I’d love to have some REVOL dishes! What a great gift guide and giveaway. I would love to try the 4.75 QT Ceramic Oval Dutch Oven in red. I would love to try Bob’s Red Mill Classic Granola, Revol Pottery Succession Deep Soup Plate, and Ancient Nutrition Women’s Fermented Multi. Love all the great stuff you picked! I’m a huge fan of Bob’s, and I’ve been wanting to try their new oatmeal cups, especially the Cranberry Orange Oatmeal Cup. I hadn’t heard of Revol pottery before, but WOW! Their dutch ovens are gorgeous, especially the yellow top! I adore essential oils too, and the geranium rose oil that they sell at Ancient Nutrition looks divine. I’d also love to try the Crunchy Coconut Granola from Bob’s Red Mill, the Rectangular Porcelain Dish from REVOL Pottery, and the Grapefruit Essential Oil from Ancient Nutrition. I would love to try out Bob Mill’s almond flour!! I bet it is wonderful!! 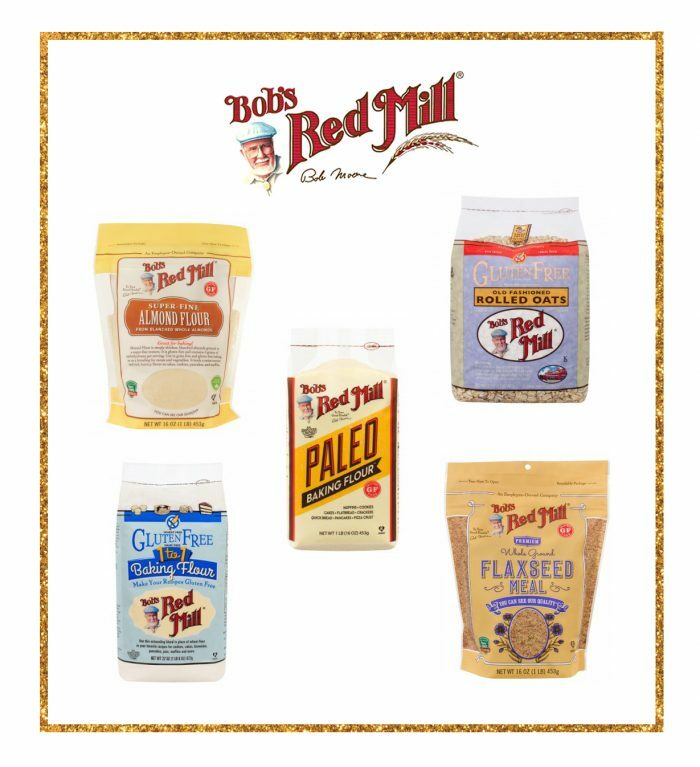 I would love to try Bob’s Red Mill Paleo mixes. I love their other products. I also would like to try using essential oils! I’d love to check out Bob’s Red Mill’s Paleo Mixes, ALL of the REVOL Pottery cookware and some essential oils for relaxation! Thanks for the great gift guide! Great stuff! 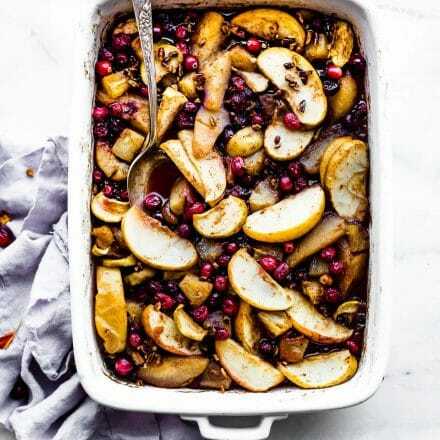 I’d also like to try Quinoa Flour from Bob’s Red Mill, The Black Cast Iron Oval Casserole from Revol is nice, and the Bone Broth French Vanilla Protein Powder from Ancient Nutrition would go over well in my house! What an awesome gift list! I would love to win any of them but the baking dishes look great! I can’t wait to try the bob’s red mill 1:1 flour. I’m always looking for a good 1:1 flour for all my old recipies before I became gluten free and it’s been so hard to find the right flours! I really want to try the instant pot!!!! Such an amazing giveaway!! Happy holidays! BRM gluten-free oatmeal cups look yummy ! Oh thanks Dan! You’re the best! I love all of this! What a great guide!